Club Kayak. Florida's Premier Paddlesport Site. ClubKayak.com is Florida's premier paddlesport community for kayaking and canoeing. Join us for skills development, exciting destinations and adventure. Visit our member clubs or sign up for a free Club Site for your Florida paddling club. The Apalachee Canoe & Kayak Club was organized in the 1970s by Tallahassee area canoeists who get together to enjoy such favorites as the Chipola, Sopchoppy and the Wacissa rivers. Come with us to Central Florida and paddle spectacular freshwater and coastal locations. This informational website has numerous trip routes and maps, sections on kayaking equipment and basic skills development. FSKA is a club of paddlers who enjoy sea kayaking. Our current membership is concentrated in Northeast Florida although we have members from all parts of Florida and other states. Calling all paddlers! 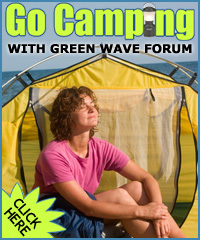 Green Wave Forum is a Florida statewide online paddlesport community. We have a huge trip report database with photos and maps, videos, forums, articles and more! Are you new to paddling and don't know what to buy? We can help. Whether you're a novice or seasoned pro, having the right equipment and accessories can mean the difference between a bad trip and great experience. We have all kinds of images like paddling photos, desktop wallpaper and webmaster art including animated gifs, backgrounds, bullets and dividers. All free for you to download. ClubKayak.com is Florida's Premier Paddlesport Community and home to top kayak and canoe clubs.